The same head of household in Haiti who was getting paid 20,000 gourdes per month years ago is still getting the same salary while his buying power has shrunk considerably. 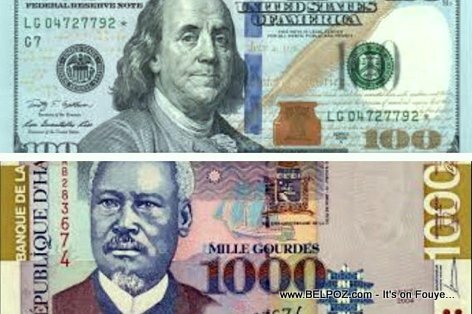 It seems there is no more responses that the Haitian government can come up with due to the destabilization of the Haitian gourdes vs. the U.S. dollar, journalist Liliane Pierre Paul Charles said in one of his recent radio programs. The deficit in Haiti in the billions of gourdes, she said and the government doesn't seem to see a way out of it. Where is the Haitian economy going from this point? Ak kisa nou t ap atann nou? Yon peyi ki pa expote anyen. Nou inporte tout sa n ap konsome. Vire tounen manifestation juskobou, kraze brize, dechoukaj. Anything to say about how bad we are?